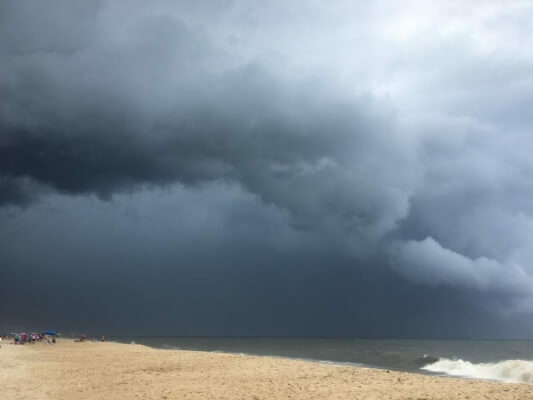 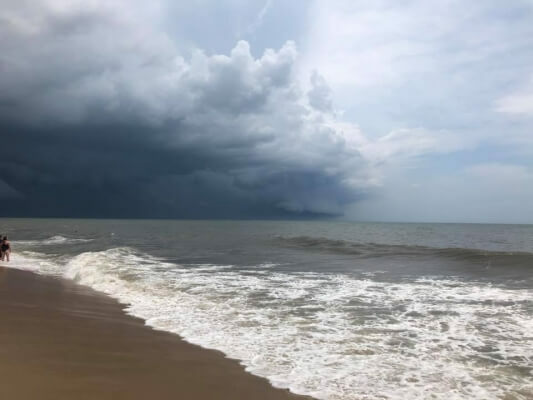 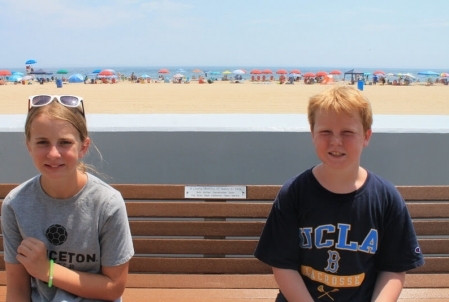 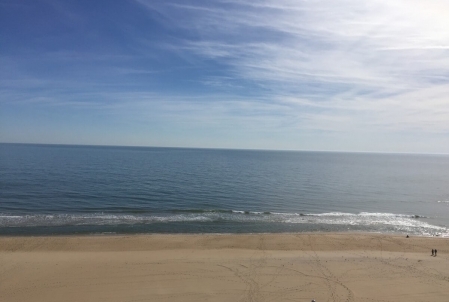 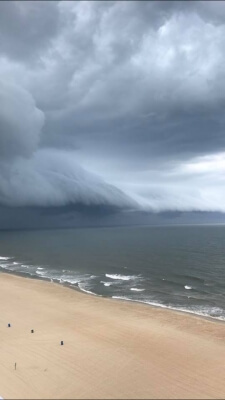 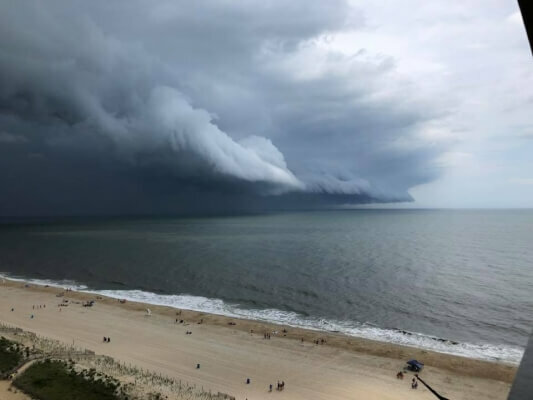 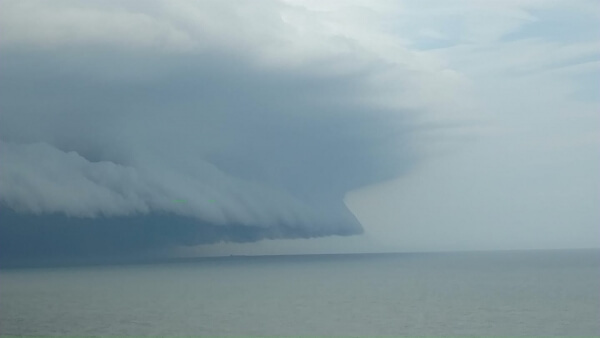 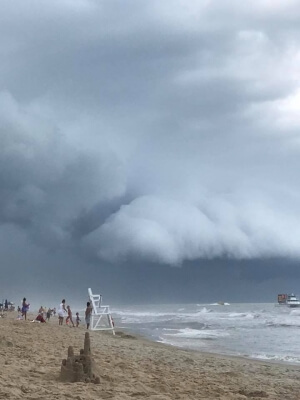 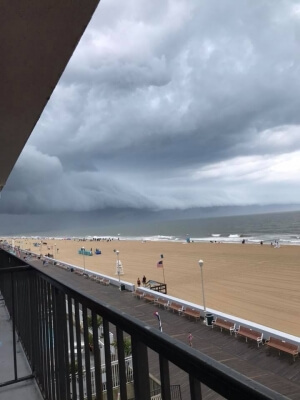 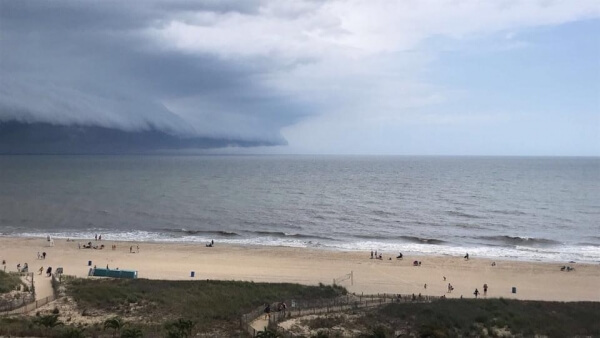 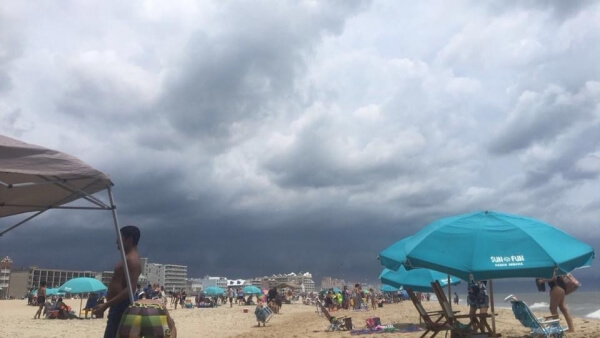 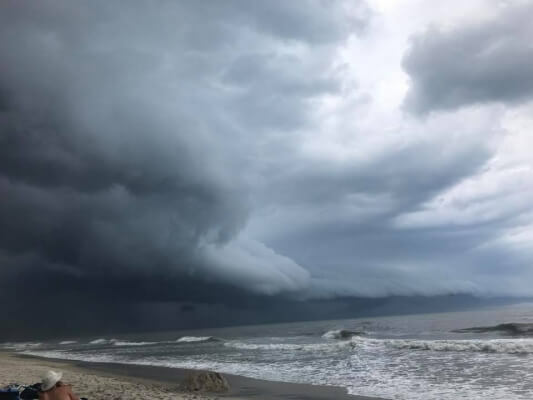 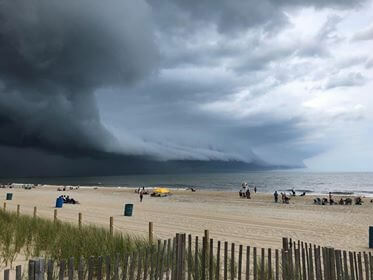 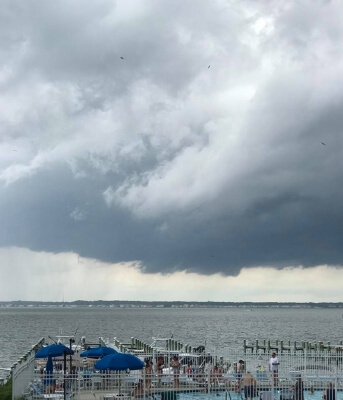 A storm blew over Ocean City this afternoon, and our visitors, enjoying what they hoped was going to be a long beach day, had to grab their belongings and run, but not before they snapped a shot of the formidable clouds, which they then sent to us. 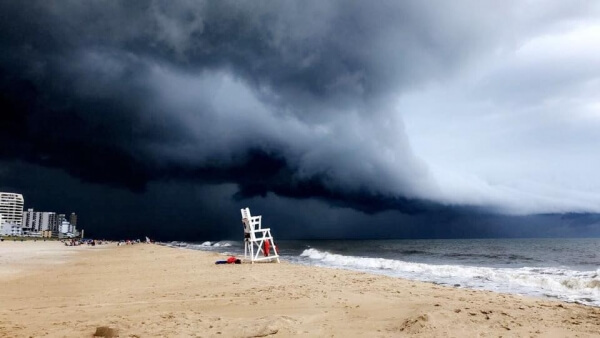 Here is a selection of some incredible photos from this incredible storm! 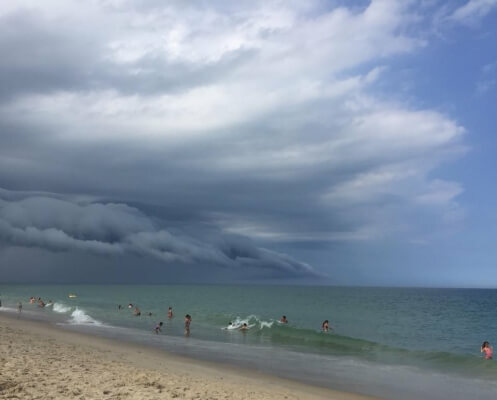 Thanks to all who submitted these photos! 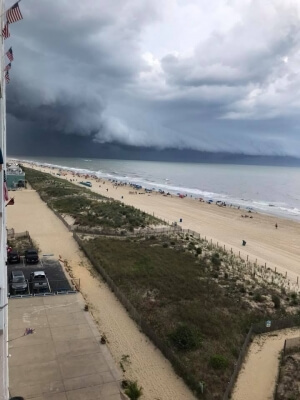 Erin DellAngelo Benfer thought it was interesting to watch from the 17th floor! 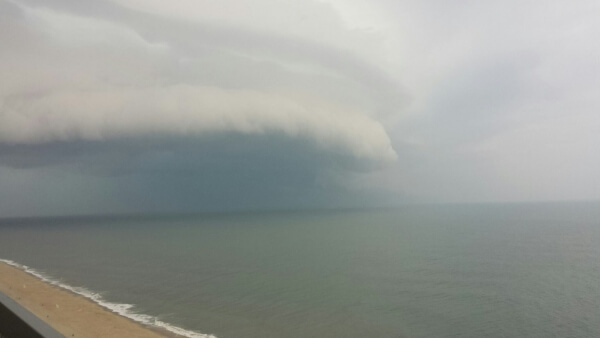 Jody Smoker took this while sitting on the balcony. 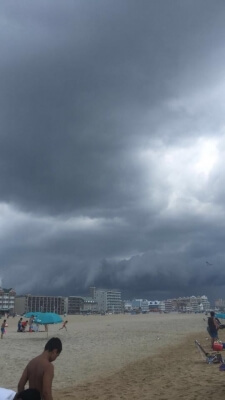 Laurie Beth Wilt’s view from 66th St.
Here’s what it looked like from Meridith Robinson Burton’s balcony on 115th.